We know we say it every year, but this the 2018 bridal trends are our favorite yet! 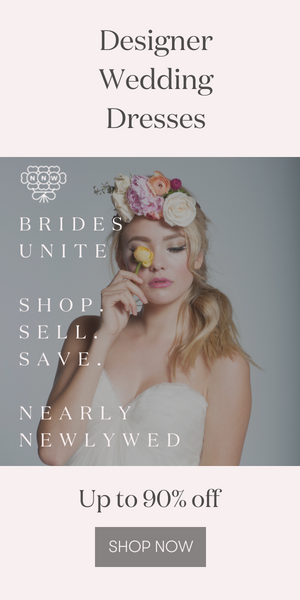 Each of these trends gorgeously personalizes a wedding day look to help you feel not only like a bride, but the exact kind of bride you want to be. Are you more modern, boho, or elegant? Somewhere in between? From stunning gowns to chic accessories, pick and choose from these 2018 bridal trends to find a look you’re totally obsessed with! photo by Local Embers & Co.; see more from this wedding inspiration shoot here! photo by Jordan Voth, event planning by Officially Quigley, floral design by Moelleux Events, hat by The Wise Hatter; see more from this wedding here! photo by Sam Landreth Photography, wedding dress by Dreamers & Lovers; see more from this bridal collection here! photo by Local Embers & Co., wedding dress by a & bé bridal shop; see more from this wedding inspiration shoot here! photo by Chris and Ruth Photography, wedding dress by Rue de Seine via Hey Love; see more from this wedding inspiration shoot here! photo by Sarah Joy Photo, wedding dress by Rue de Seine; see more from this wedding here! photo by Jordan Voth, wedding dress by Rue de Seine; see more from this wedding inspiration shoot here! photo by J Olson Weddings, headpiece by Ab.Ellie; see more from this wedding here! photo by Sarah Joy Photo; see more from this wedding here! photo by Lauren Scotti, bridal accessories by The Dress Theory San Diego; see more from this wedding here! photo by Eden Strader Photography, bridal accessories by Rachel Zoe; see more from this wedding here! photo by Ed Godden Photography, wedding dress by Rue De Seine; see more from this wedding here! photo by Rachel Photographs, wedding dress by Prescott Bridal; see more from this wedding inspiration shoot here! photo by Chelsea Denise Photography, wedding dress by Pronovias via Beloved Bridal Boutique, bridal accessories by DylanLex, Alexander Wang; see more from this wedding here! photo by Page & Holmes; see more from this wedding here! photo by Danielle Simone Charles, wedding dress by Rue De Seine from Alice In Ivory, bridal accessories by BHLDN; see more from this wedding here! photo by Lilly Red Creative, earrings by Habella Handcrafted Jewelries; see more from this wedding here! photo by Matt Lien, wedding dress by The White Room; see more from this wedding here! photo by Eleanor Dobbins Photography, wedding dress by LoversLand; see more from this wedding here! photo by The Ramsdens, wedding dress by Daughters of Simone via True North Bridal Studio; see more from this wedding here! photo by Carina Skrobecki, wedding dress by LOHO Bride; see more from this wedding here! photo by Carla Penoncelli, wedding dress by Tanya Anic Bridal, bridal accessories by Stephanie Brown; see more from this wedding here! Looking for more 2018 wedding inspiration? Check out these 5 unique 2018 wedding styles and these 2018 wedding trends you’ll want to use for your big day! Some fantastic ideas there for planning a wedding look.